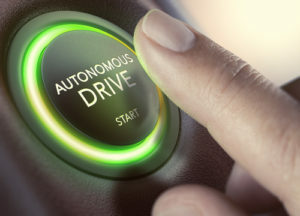 Driverless vehicles contain technology that allows the car to steer itself, adhere to traffic laws, speed up or slow down, move between lanes and cope with navigational hurdles autonomously. In the past several years, enthusiasts have been excited about the dawn of this new type of car and have claimed that the technology could save millions of lives each year. Self-driving cars are now being tested around the globe with some success and some failure. The fatal accident involving a pedestrian and a self-driving car has recently caused an uproar from the public who is concerned about the safety of these autonomous features. Car manufacturers have made it clear that drivers should always remain attentive behind the wheel, and drivers should never entirely rely on the automated features. Despite these warnings, the driver behind the self-driving car that struck the pedestrian was looking down the entire time. The human driver failed to notice the pedestrian. It’s clear that the human driver was negligent, but some are arguing that the car manufacturers share some responsibility for touting the unrealistic safety of “self” driving vehicles. Human negligence is the cause of over 90 percent of all motor vehicle accidents. If you were injured in an accident, then you are legally entitled to pursue compensation from the negligent party. Our hands-on attorneys at the Liddon Law Firm are committed to helping our injured clients put their lives back together again. We will seek maximum compensation to ensure you are completely financially restored for all damages you incurred as a result of the accident. Contact the Liddon Law Firm now at 205-224-5675 for more information.